I put a particle counter in the room to take measurements every minute. I did the test while I was on vacation, so there was no influence of me opening and closing doors. 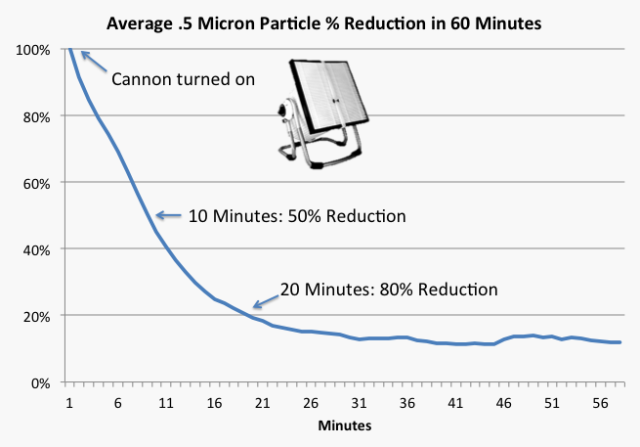 On average, the Cannon cut 0.5 micron particulate in half in 10 minutes. By 20 minutes, it removed 80%. 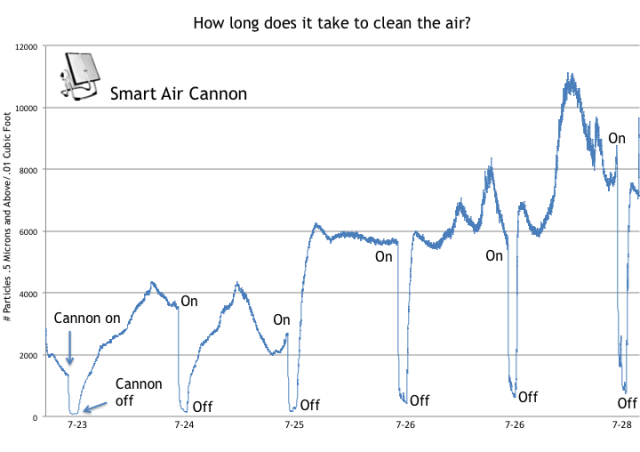 The data can also answer another question a few people have asked me: “I don’t want to hear the fan while I sleep, so can I run it for an hour and then turn it off while I sleep?